Lord West tells the story of the Royal Navy in the Falklands War. Lord West travels to the Royal Naval Air Station Yeovilton, home of the Fleet Air Arm, to explain the vital importance of air power in winning the Falklands War. He visits the memorial to friends of his who died in the conflict, including when his own ship, HMS Ardent, was sunk. And for a different perspective, above the waves, he speaks to the Duke of York, who flew Sea King helicopters during the conflict. Lord West also explains the wider significance of the war. Not only did victory reverse planned cuts to the Royal Navy, it also had a much wider effect on the strategic position at the end of the Cold War. 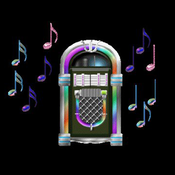 Producer: Giles Edwards. Lord West tells the story of how Britain and the Royal Navy came to focus heavily on the North Atlantic in the late Cold War. During his time in the Royal Navy, the focus was very largely on the North Atlantic. And Lord West returns to North Norway to see the Royal Marines training and explain how that region came to be a central focus during the late Cold War. He hears about the secret world of submarines. And he joins a patrol onboard a Fisheries Protection Vessel to tell the story of a war with a supposed ally - what one enterprising journalist at the Daily Express christened the 'Cod War'. Producer: Giles Edwards. Lord West tells the story of how the Royal Navy lost its aircraft carriers but gained the United Kingdom's nuclear deterrent. The 1960s were a time of intense inter-service rivalry. The RAF and the Royal Navy exchanged blows in the corridors of Whitehall - and by the end of the decade the Royal Navy had lost its replacement aircraft carriers but been given responsibility for the future of the United Kingdom's nuclear deterrent. Onboard one of the Navy's Trident submarines, Lord West hears how the coming of nuclear propulsion and nuclear power changed the shape of the Navy. And on his first visit to Faslane Peace Camp, he hears of the major impact the coming of nuclear technology had on Scottish public life. Producer: Giles Edwards. 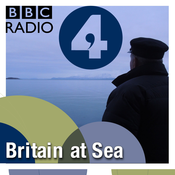 Lord West tells the story of the Royal Navy's role in Britain's withdrawal from empire. Travelling to Malta, he explains the Navy's central role in Maltese independence. Strolling through Valletta he describes life in the Royal Navy in the 1950s and 1960s, an era when hundreds of Royal Navy ships travelled the globe, journeying between dozens of overseas bases and acting very much like the world's policemen. He also recalls visiting the Gulf in the 1960s, and seeing creeks and towns barely large enough to hold a small warship but which are now enormous cities full of skyscrapers. And Lord West recalls important episodes when the Royal Navy was called to intervene overseas - disastrously in Suez in 1956, but much more successfully in Kuwait in 1961 and Tanganyika in 1964. Producer: Giles Edwards. 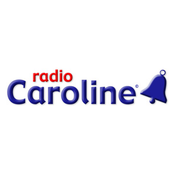 Lyt til Britain at Sea, Radio Caroline Flashback og mange andre stationer fra hele verden med app'en radio.dk.